This course, taught by Chris Jensen, is designed for licensed electricians, inspectors and engineers. 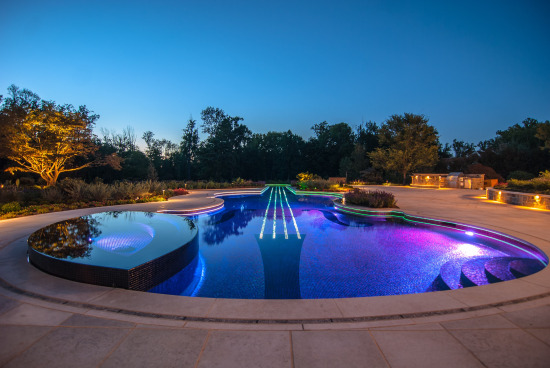 We will discuss the 2017 NEC requirements covering the grounding and bonding requirements for swimming pools found in Article 680 and the 2017 NEC requirements covering the installation of energy storage systems contained in Article 706. Chris will lead the discussion regarding the specific requirements in Article 680 related to grounding and bonding in and around swimming pools.You will participate in a discussion of applicable definitions and general requirements in Part I of Article 680, branch circuit equipment grounding conductors and specific wiring methods to protect the equipment grounding conductors and equipotential bonding installation and performance requirements from section 680.26. Chris will also cover the types of energy storage systems, their uses and their applicable standards and specific requirements found in Article 706. Included will be discussion on prevalent uses and types of energy storage systems, appropriate standards for energy storage systems, and Article 706 requirements for energy storage systems. Total CE hours is 4 hours; 2 hours for Swimming Pool Grounding and Bonding and 2 hours for Energy Storage Systems. Upon completion of the training, 4 CR CEU's will be submitted to the State of Washington within 7 working days. Instructor Bio: Chris Jensen was introduced to the electrical trade at an early age. He was in his early teens when he would work summers at his grandfather’s electrical contracting company hauling material, digging trenches and performing general labor. In August of 1994 he received his Journeyman electricians license and in June of 2004 he received his Master electrician’s license. From 1990 to 2005 he worked as an electrician, until May of 2005 when he changed hats and became a combination inspector for North Logan City. In January of 2014 he became a Building Official for North Logan City. In August of 2017 Chris went to work for UL as a Lead Regulatory Engineer where he remains currently employed. He has taught the electrical apprenticeship program for Bridgerland Applied Technology College, and is an active member of the Utah Chapter of the I.A.E.I and holds a position on the board. Chris is a past Principal on Code Making Panel 10 for the NEC and was involved with the development of the 2014 and 2017 NEC. Credit Card: If payment was made via credit card, refund, if any, will be credited back to your account. Refund: Classes cancelled by the Alliance will result in a 100% refund of seminar fees. Less than seven (7) business days before the event: no refund. If the event fee is less than $10: no refund.